The B-warm heated seat cover is designed to keep the chill out, while you relax. If you are home alone, why heat the whole room, simply plug in this personal hot-seat and whether you are working, resting or playing, you’ll be guaranteed to be snug. Heating costs can be immediately reduced as thermostats can be turned down making immediate savings. B-warm costs less than 1⁄2 pence per hour to use. The B-warm is very therapeutic and a great way to soothe those aches and pains and unwind at the end of the day. B-warm provides constant gentle heat from your neck to your knees. 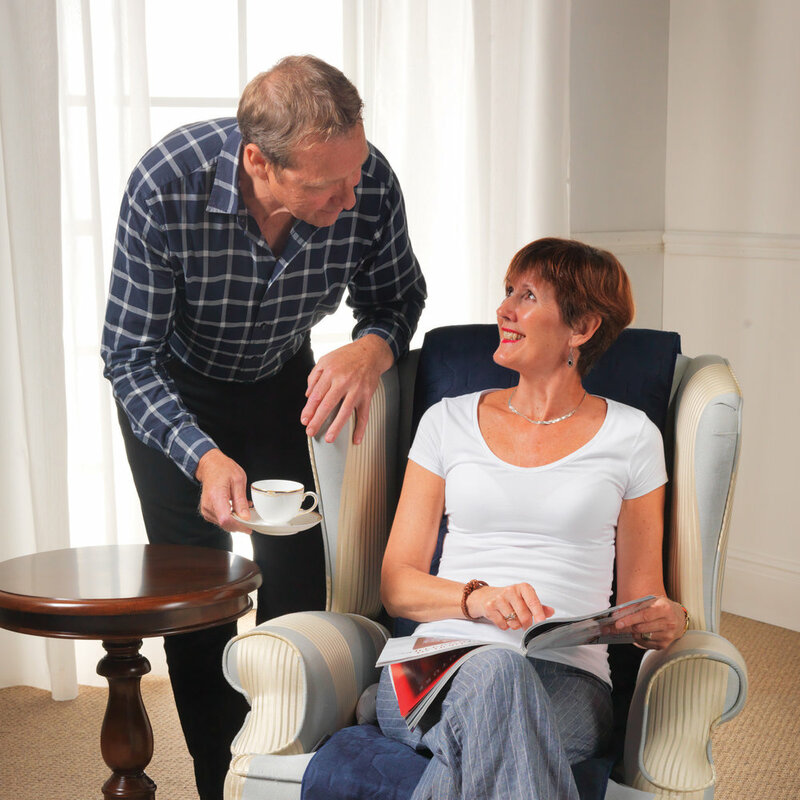 Light & portable it is easily attached and removed and fits most styles of chair or sofas and is suitable for many lifestyles and age groups. With a single button control, B-warm produces low level controlled heat with 4 adjustable settings from 10W to 45W and safety automatic switch- off feature. B-warm is resistant to spillages and fully machine washable. Our product is designed to keep you warm in any weather conditions. Why heat the whole house, when you can simply use. B-warm personal heated seat cover. B-warm - could this be the solution to fuel poverty?